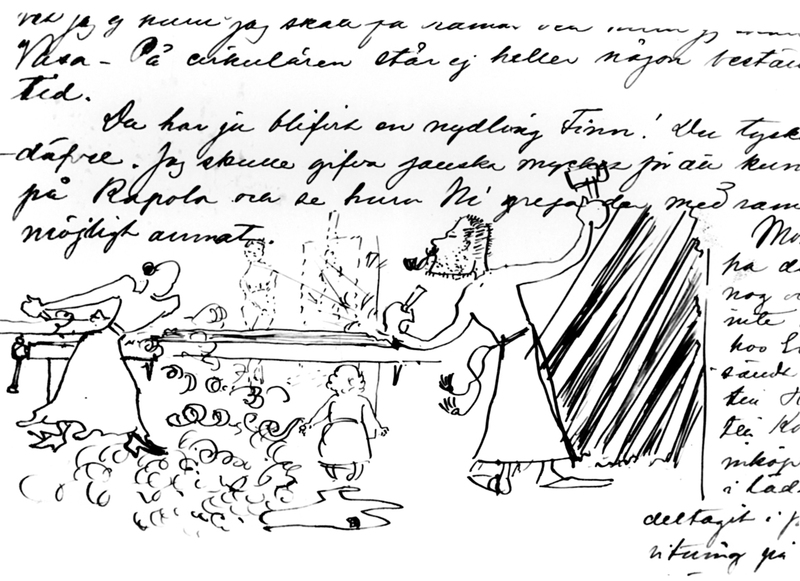 Letters received by Akseli Gallen-Kallela are managed by the Gallen-Kallela Museum. There are thousands of them, from as many 2,000 different senders from around the world. 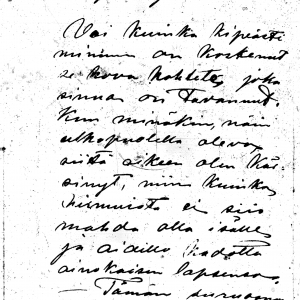 The letters are kept in the National Archives of Finland and they can be read on microfilm either at the National Archives or by appointment at the Gallen-Kallela Museum, with permission from the museum director. 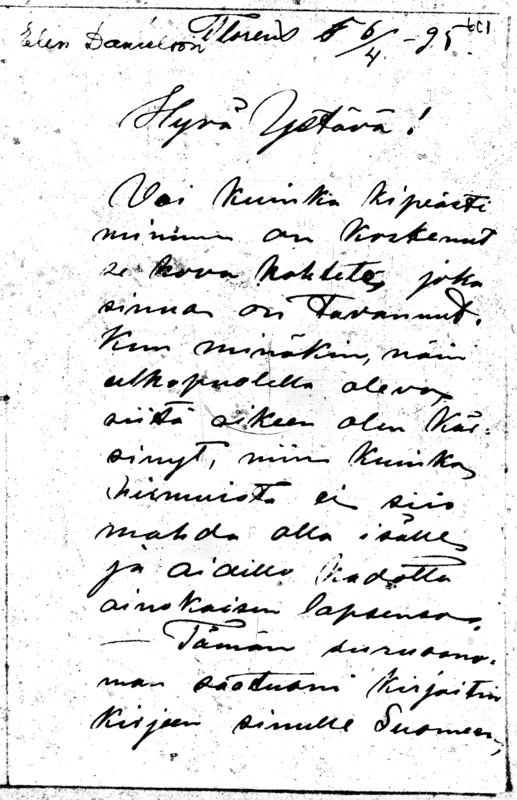 By issuing permits for studying the letters, the museum keeps track of the use of the correspondence collection. Apply for permission if you’re interested. 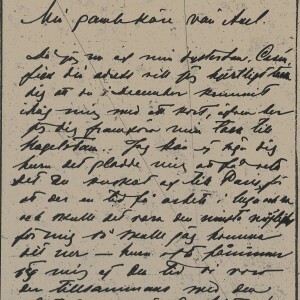 The Gallen-Kallela Museum has carried out a survey of the locations of letters sent by Akseli Gallen-Kallela and has obtained copies of them. The copies can be studied by appointment at the museum. Some of the copies required the permission of the owner of the original to be read. 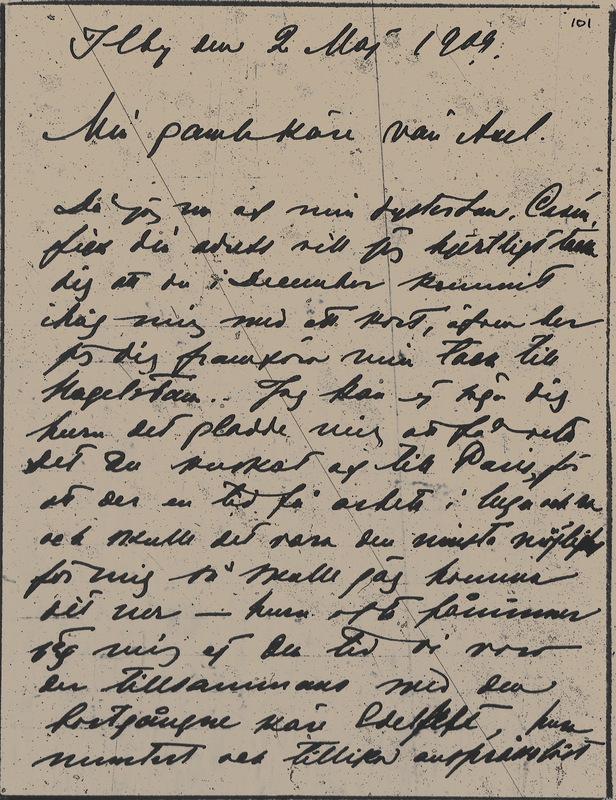 The Akseli Gallen-Kallela personal archive collection in the National Archives of Finland includes, among other material, letters and letter drafts from Gallen-Kallela to various individuals. 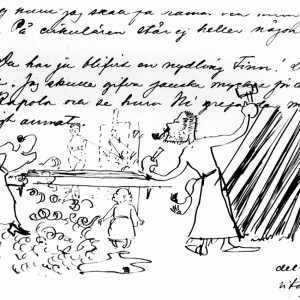 The letters and drafts can be read with permission from the head of the National Archives at the National Archives or in the Gallen-Kallela Museum.